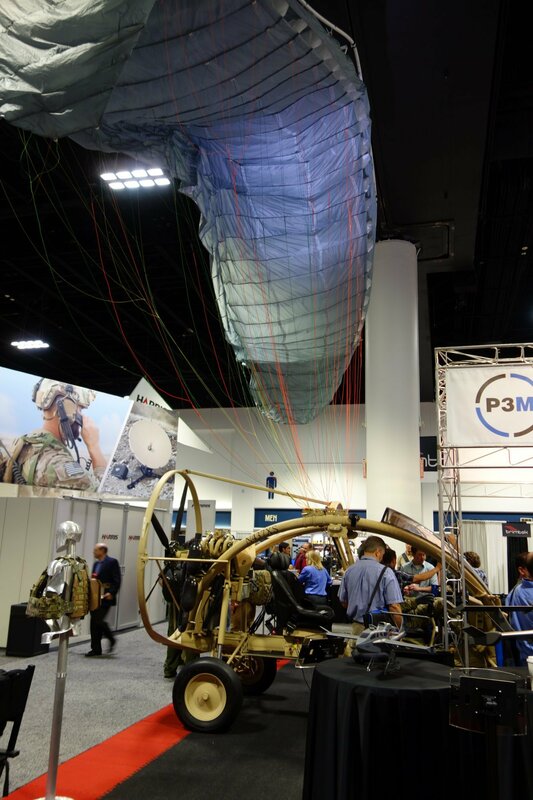 S&S Precison Stalker MPTV (Multi-Purpose Tactical Vehicle) Powered Parafoil Combat Assault Vehicle Aircraft/Ground Vehicle for Military Special Operations Forces (SOF): Up to 156 MPH on Land, and 61 Knots in the Air! (Photos!) | DefenseReview.com (DR): An online tactical technology and military defense technology magazine with particular focus on the latest and greatest tactical firearms news (tactical gun news), tactical gear news and tactical shooting news. 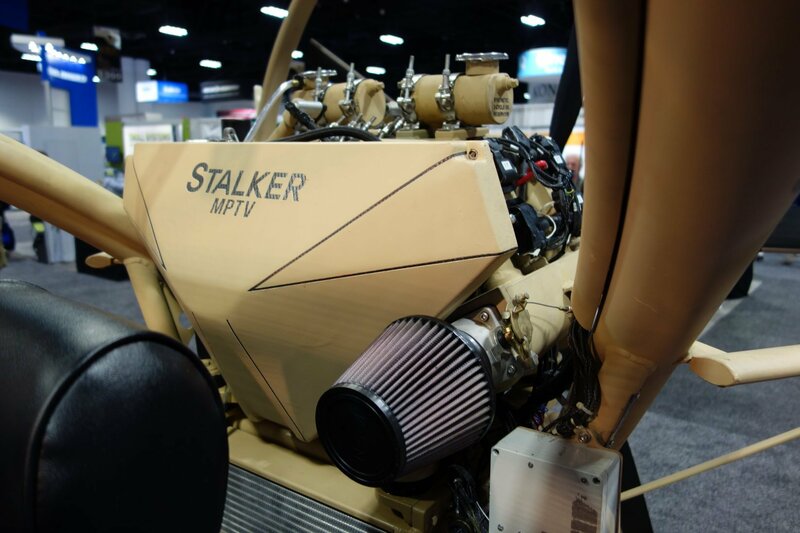 S&S Precision just formally introduced the Stalker MPTV (Multi-Purpose Tactical Vehicle) Powered Parafoil aircraft/ground vehicle at the 2013 NDIA Special Operations Forces Industry Conference (NDIA SOFIC 2013) on Tuesday of last week. 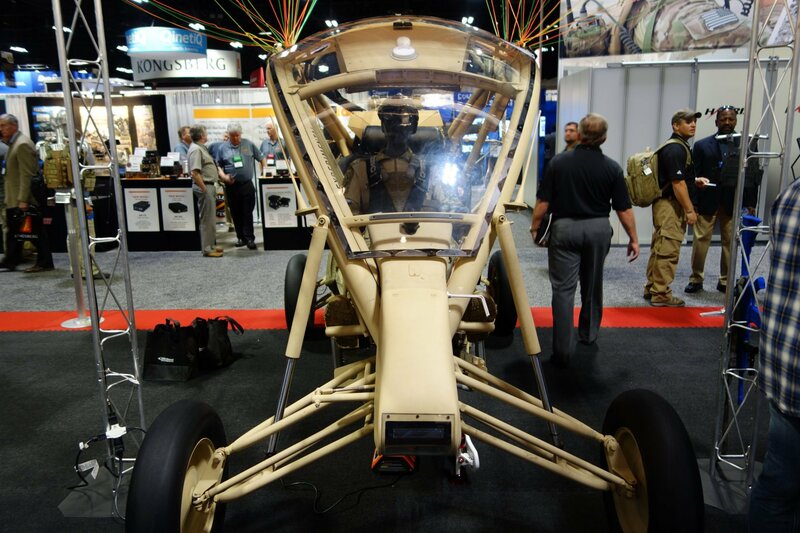 The new ultralight aircraft/combat assault vehicle was definitely one of the stars of the show, and DefenseReview (DR) was lucky to get a close-up look at at and shoot some pics. 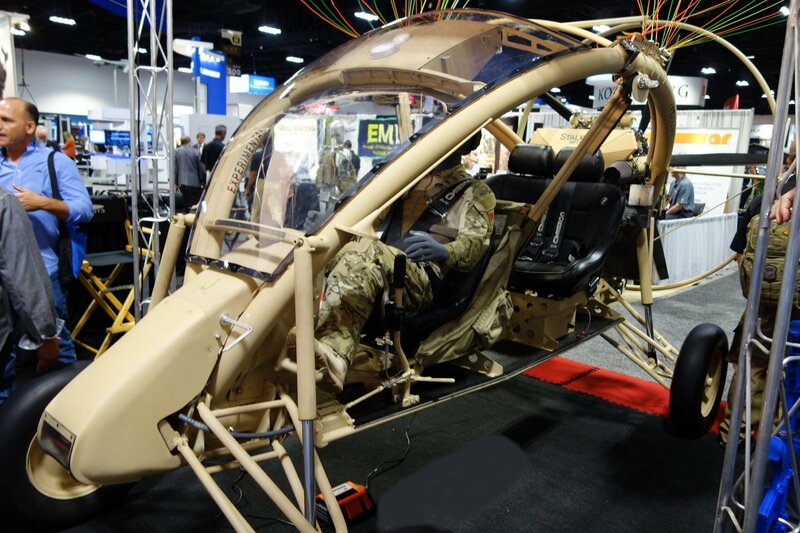 It's an aircraft/tactical vehicle James Bond would love to fly and drive, and one tech geek/genius Q would be proud to have designed and developed for him. 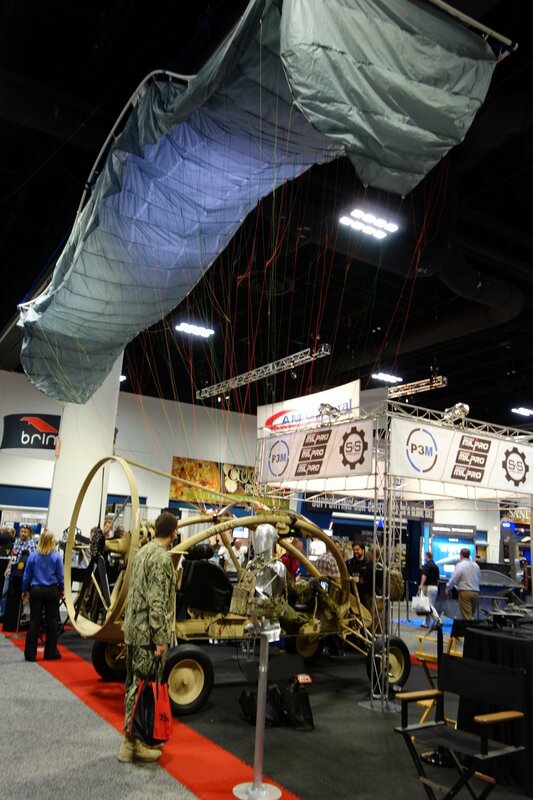 DR actually first saw a product demo video of the Stalker MPTV aircraft/ground vehicle at the S&S Precision booth at SHOT Show 2013, but the designer/developer (whom we shall not name) didn't want us to photograph or film it, nor did he want to discuss the project. In fact, he was really cagey about it, and got very uncomfortable when we started asking probing questions about it. 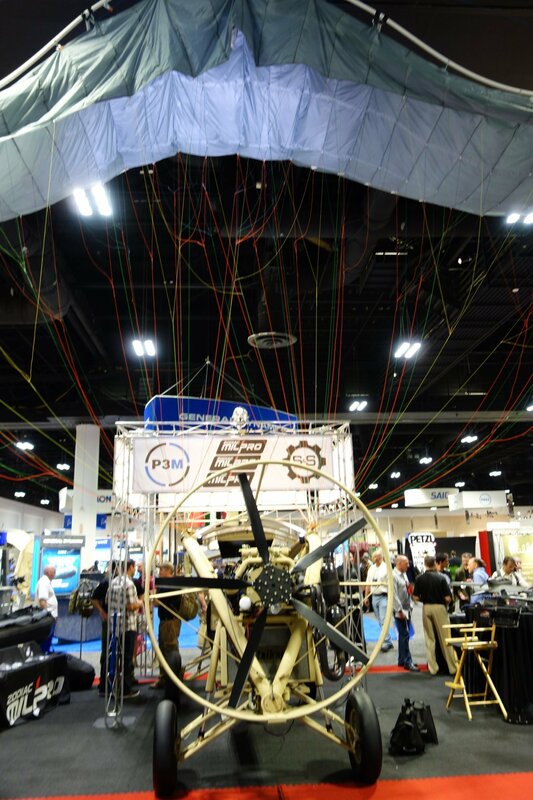 So, imagine our surprise when we walked into the exhibition hall, and the damn thing was right there on display. 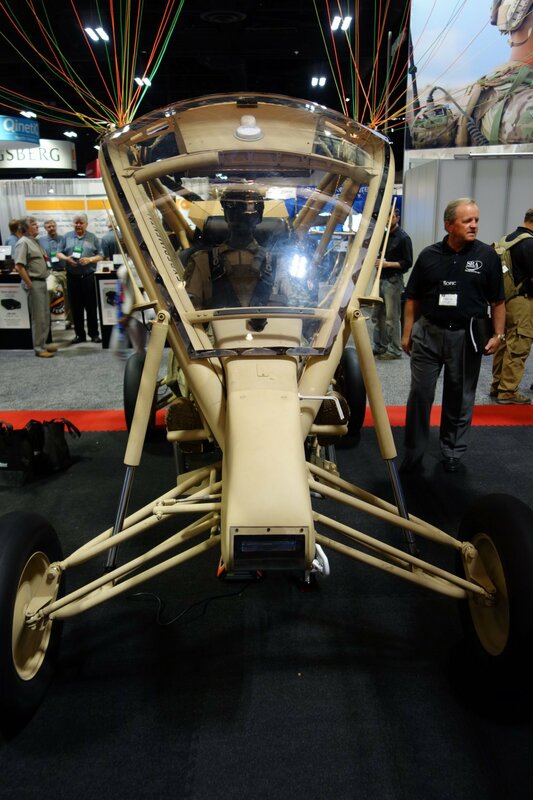 The S&S Stalker MPTV fast-attack vehicle is designed to allow three SOF assaulters/operators to fly in at up to 61 knots, drive to the target location at high speed over rough terrain and at up to 156 mph on smooth pavement, and then fly right back out, i.e., skedaddle, lickity split. No muss, no fuss. 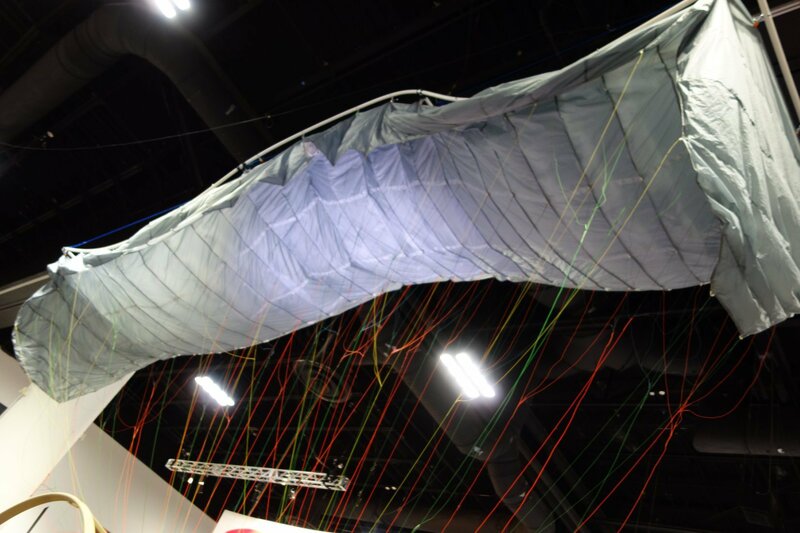 Form definitely follows function, as the Stalker is as lightweight and streamlined as possible, and purpose-designed to handle its mission profile. 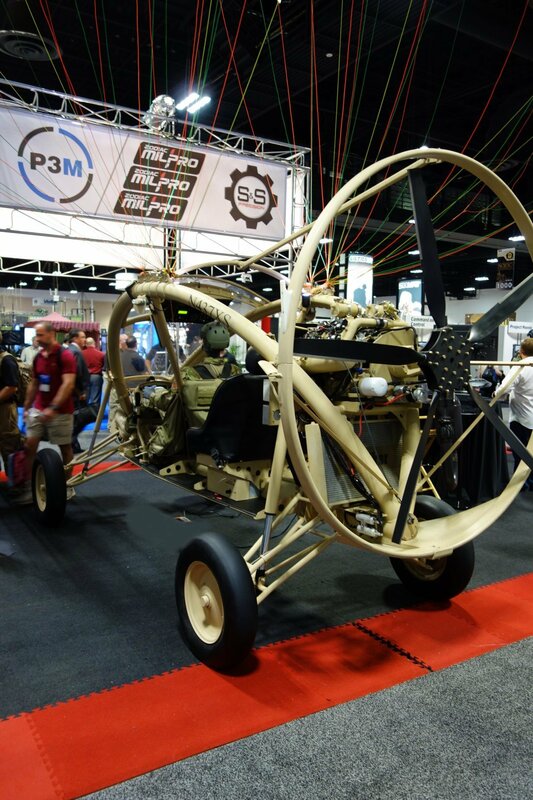 Power is provided by a quadrotar (5-bladed) pusher prop in the back, and the parafoil wing can be manually deployed and repacked in minutes. 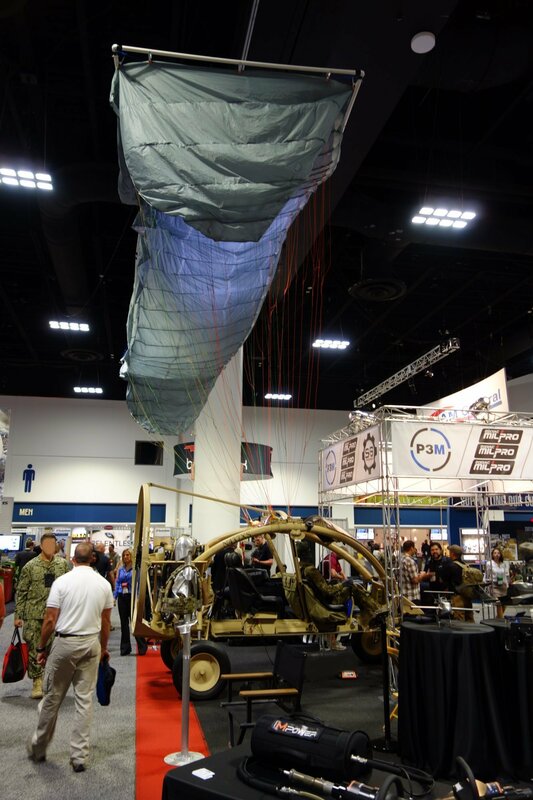 Defense Review shot some great hi-res pics of the Stalker MPTV at the show, and you can view (some of) them below. We also obtained a copy of the Stalker MPTV brochure at the booth, so we have the complete specs/capabilities on it (at least those that are non-classified), but we're not at liberty to publish it (brochure), due to the fact that it's marked "Confidential and Proprietary: The Stalker MPTV is subject to the Code of USA Federal Regulations International Traffic in Arms Regulations (ITAR)." 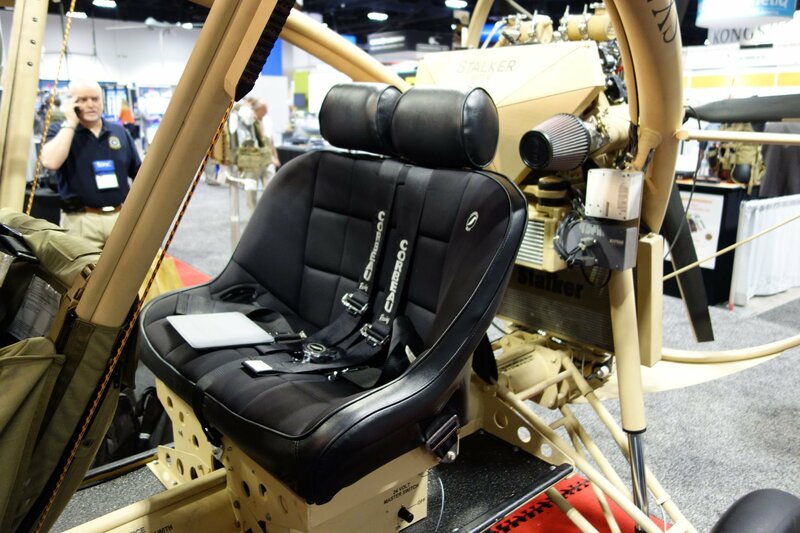 We're also going to refrain from publishing our close-up photos of the cockpit's dash until we receive clearance, and only publish performance specs that have already been published by DefenseNews and Military Times GearScout, just in case.